Hello to the For the Easily Distracted followers! My name is Caren and I come from the land of Tea & Chickadees (which is located in Canada). I'll keep my list of distractions down dto just a few, in honour of you, fellow distractionaries (it isn't a word, but it really should be). I'm a seriously huge fan of analog photography. I own a couple of Dianas, a Holga, a few Polaroids, a couple of vintage SLRs and a smattering of other oldies but goodies. 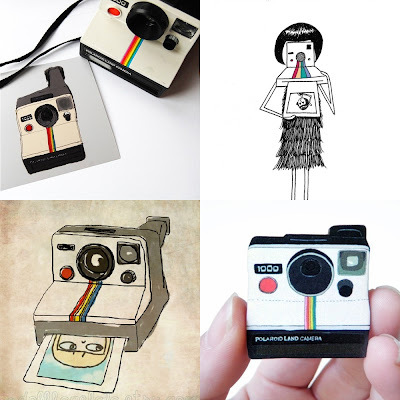 I'd like to focus on the Polaroid and the Diana, though. They are my true loves. For Polaroid photos, I use a Sun600, a OneStep (rainbow edition) and my beloved SX70 Alpha (which was my dad's). 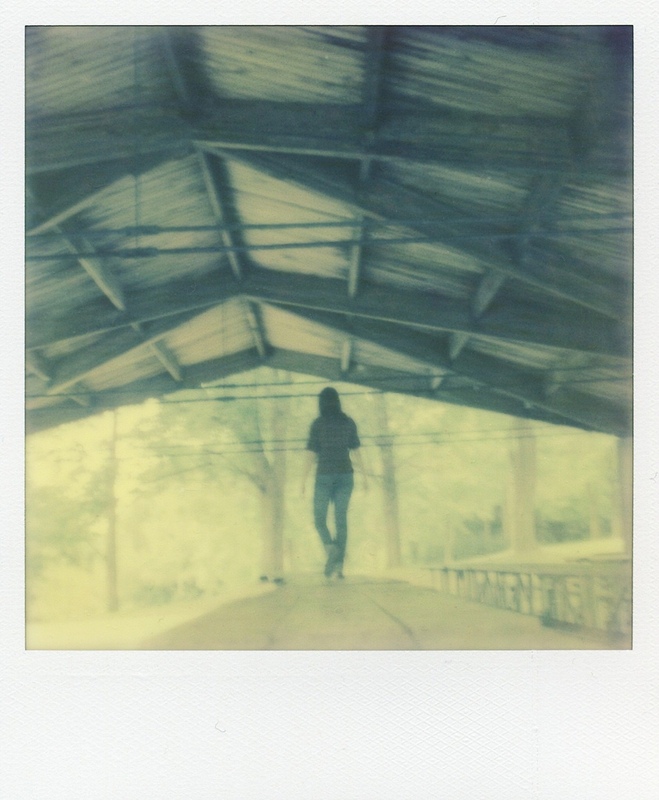 I used The Impossible Project's Color Shade & my SX70 Alpha. I have two Diana cameras. A 1960s Diana (another from my dad's collection) and a new-to-me Diana-F. They both have their quirks (i.e. light leaks galore) and I love that about them! It's always a mystery as to what the end result will be. And I do love a good mystery! Photos taken with my Diana & Diana-F. They depict my other distractions (thrifting & colourful objects). I love colour, but am mostly drawn to orange, blue and yellow (the main colours you'd find in my apartment). Put those colours in art or in the form of something vintage, and I'll swoon! Wrapped up in the above images reveal another of my favourite things: Etsy.com. I spend a lot of time (too much?) on Etsy, looking at vintage things or handmade art. 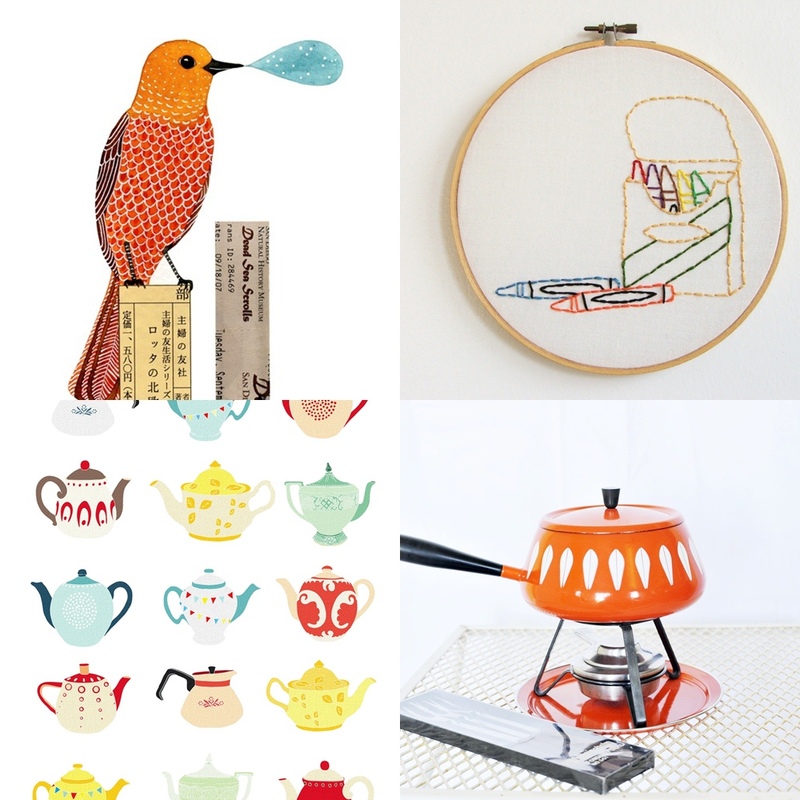 The above selection not only shows a love of colour, but also a love of birds, crayons, teapots & Cathrineholm. I obviously have a problem. It's impossible to get through a day without distraction! Thank you, Rhianne, for letting me distract your followers during your vacation.